MonoMouse (Black and White) - High Quality, easy to use and Affordable, the MonoMouse hand held electronic magnifier is compatible with any TV using the RCA video input. This product features black background with white text and high contrast-white background with black text. 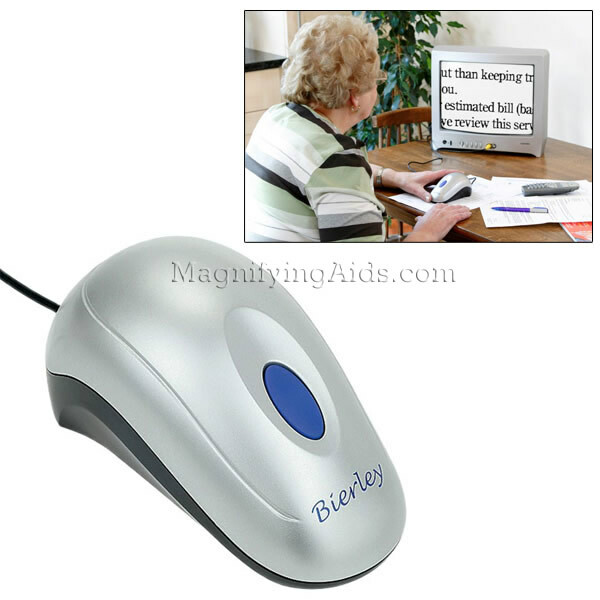 The MonoMouse comes with a 24X fixed magnification level on a 20" monitor. It comes with a 6 foot easy to store cable and is durable. It is perfect for reading newspapers, magazines, books, prescription bottles, cooking instructions, food labels, bills, statements and much more. One Year Manufacturer's Warranty.